Hunting, fishing, and water sports haven! 500+ acres teeming with abundant wildlife including a 22-acre private lake stocked with freshwater fish. Extensive wooded trails are ideal for your 4-wheeler. Enjoy skiing on the lake, relaxing on the sandy beach, or watching a magnificent sunset waterside. A resort lifestyle can be yours at Breezewood! Stately situated atop a lofty knoll, this lovely solid brick 4 bedroom home enjoys a full front porch with a picturesque view of the 22 acre lake and the surrounding gently rolling pastures and timberland. The property is rich in history with a reference to origin from an English Land Grant. There are 4 additional rental residences that will convey. Don’t miss this rare opportunity to own a large acreage farm with many unique possibilities and extraordinary amenities. Fronting on two paved public roads, the farm also has a well-maintained network of private interior access roadways. Make your appointment today to tour this magnificent property. Please, send me more information on this property: MLS# 1807055 – $2,400,000 – 2065 Bethany Church Road, Bumpass, VA 23024. 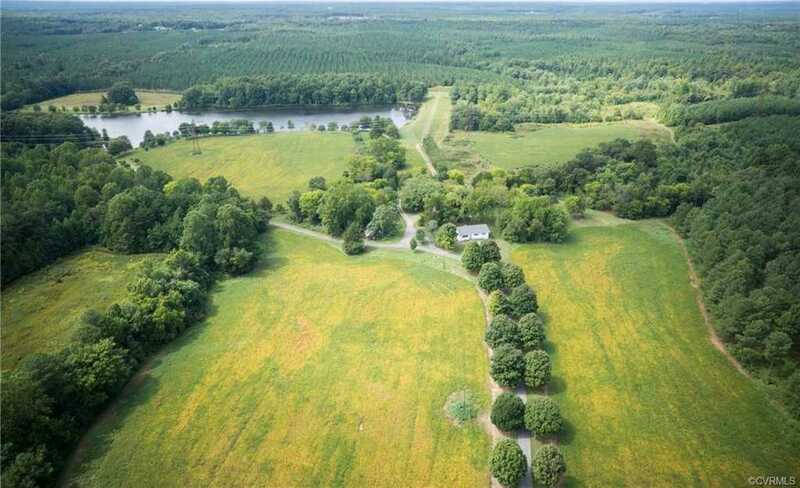 I would like to schedule a showing appointment for this property: MLS# 1807055 – $2,400,000 – 2065 Bethany Church Road, Bumpass, VA 23024.